Knowing what’s in your family’s drinks makes it easier to cut down or swap to healthier alternatives. Download the Change4Life sugar app to find out more. If you don’t want your child to have certain drinks, it’s easiest not to have them in the house. That’s better for you, and easier on your purse too. Try to avoid being tempted by offers in the supermarket. Make a list before you shop and stick to it. Talk with your child about why you’re making changes. Explain that some of the drinks they might want are not good for their bodies. 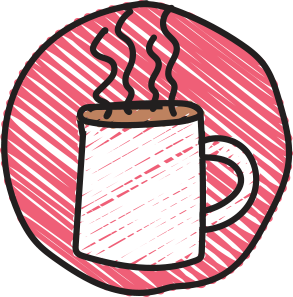 Think ahead to what you might say if your child asks for an unhealthy drink in a café or a restaurant. That will make it easier to not give in if it happens. Water and milk are cheap. Sticking to them will save you lots of money. Reward yourself for making healthier choices. Maybe you could arrange a day out for the whole family. Water keeps them hydrated and stops them from being thirsty. It’s free too. 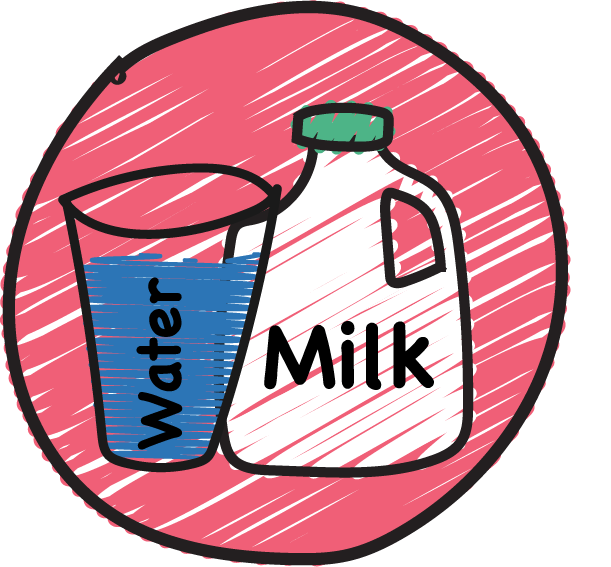 Milk is full of vitamins, minerals, and calcium, which helps them build strong bones and teeth. 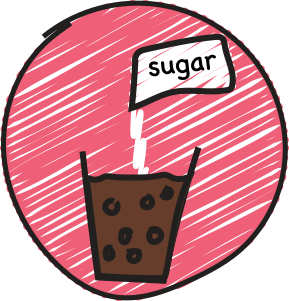 Most other drinks contain sugar or sweeteners. Avoiding them is better for your child’s teeth and for their weight. These include drinks like still fruit drinks, squash and fizzy pop. 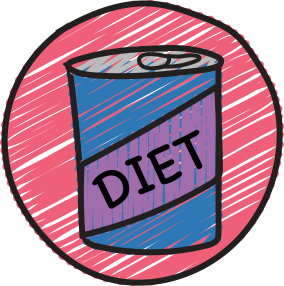 They contain a lot of sugar and calories, which can cause weight gain and tooth decay. These include drinks like fresh orange and apple juice and smoothies. 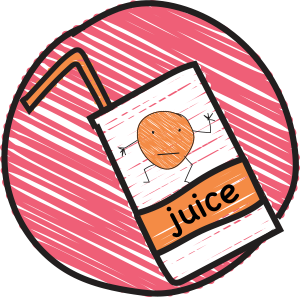 When fruit is juiced or blended, the sugar contained in the fruit is released, which can damage your child’s teeth. If you do sometimes give them fruit juice, do it a meal times and dilute it – one part juice to 10 parts water and no more than 150mls over the whole day. These include drinks like squash and low calorie fizzy drinks. They contain other sweetness and they’re acidic, so they can still damage your child’s teeth. These include cola, energy drinks, tea and coffee. They can raise your child’s heart rate and blood pressure to unsafe levels. They can give them an upset tummy and headaches, and make it difficult for them to concentrate or sleep. These include tinned or powdered milk, and milkshakes. They contain a lot of sugar and calories. These can cause weight gain and tooth decay. These aren’t suitable for children under five, because they don’t contain enough calories or nutrients. 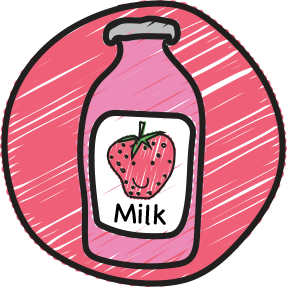 Two – five year olds can drink semi-skimmed milk if they are eating well. 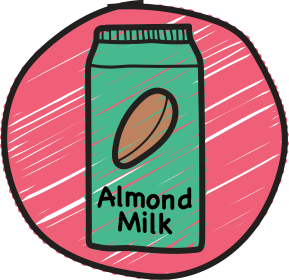 These include almond milk or oat milk. They don’t contain enough nutrients for young children. 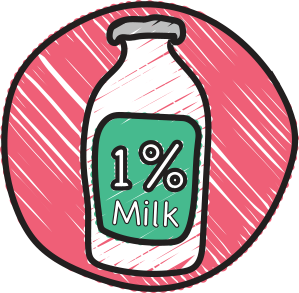 Some children may drink cow’s milk alternatives like nut, oat, or soya milks. For children under two years this will usually follow discussion with a health professional. 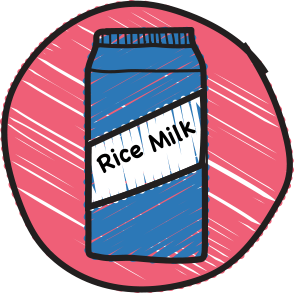 It is important to choose unsweetened brands that are fortified with calcium. Children under five shouldn’t have rice drinks. They can contain unsafe levels of arsenic.